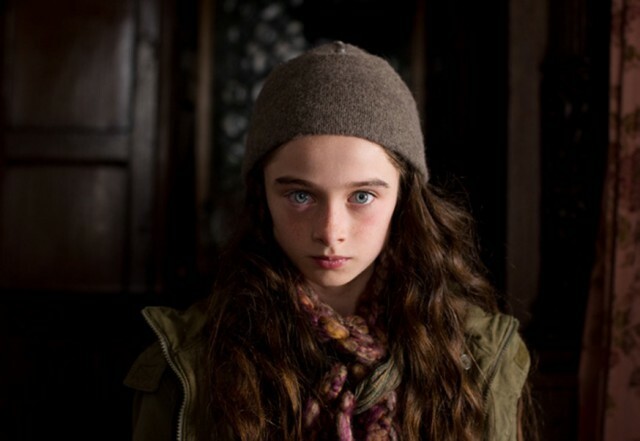 Variety has announced Raffey Cassidy in its annual list of 10 Brits to Watch. For the third year, Variety has partnered with Newport Beach Film Festival to recognize those selected at the fifth annual Newport Beach UK Honours evening on 7 February 2019 in London. The talent selected include writers, actors, and singers. 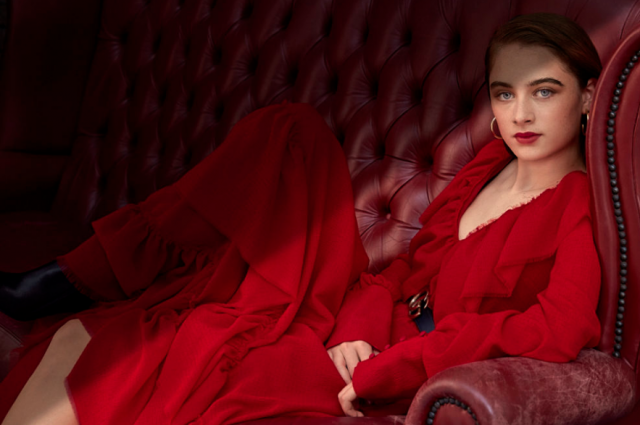 The 10 Brits to Watch include Raffey Cassidy (Molly Moon, Vox Lux), Rhianne Barreto (Amazon series ‘Hanna’), Paapa Essiedu (Hamlet, Royal Shakespeare Company), Jess Glynne (singer-songwriter), Kirby Howell-Baptiste (Killing Eve), Billy Howle (The Seagull, Outlaw King), Oliver Jackson-Cohen (Emerald City), Jessica Swale (playwright of “Blue Stockings”), Joivan Wade (The First Purge) and Fionn Whitehead (Dunkirk, Black Mirror). The event is held one week prior to the BAFTA weekend. Dear Molly Moon fans from all corners of the world… good luck with your new 2019 resolutions and be wonderful. 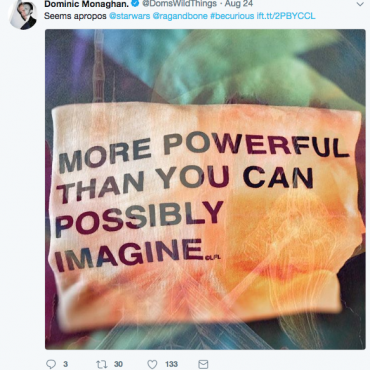 Molly Moon star Dominic Monaghan has been cast in Star Wars: Episode IX. What exciting news! Molly Moon fan Erya is from Spain. She has very flamboyant book and movie review channel on Youtube. Recently she reviewed the Molly Moon books. You can also follow her on Instagram @eryaescribe. Have you got a review channel and have posted about Molly Moon? Send a link via social media – links can be found below. 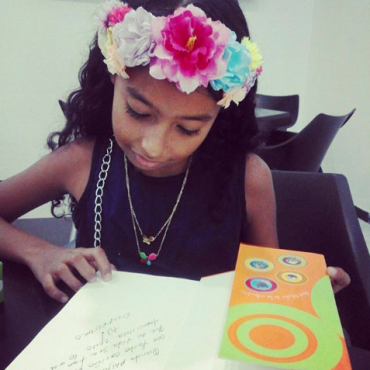 This is Eyra’s full review in Spanish. 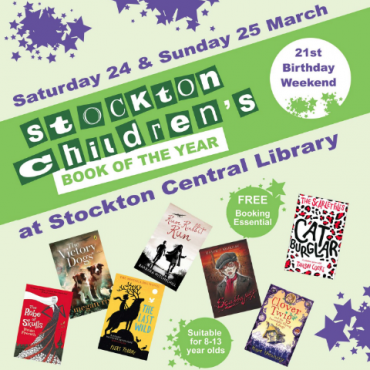 As a past winner of Stockton Children’s Book of the Year, on Saturday 24th March, Georgia Byng will be giving a talk about the Molly Moon book series and film. Georgia’s talk is part of a celebration marking 21 years of Stockton Children’s Book of the Year. 14 other past winning authors will attend the event over Saturday 24th and Sunday 25th March at Stockton Central Library in the UK. Other authors in attendance include: Pete Johnson, Thomas Bloor, Barbara Mitchelhill, Megan Rix, Piers Today, Tamsin Cooke, Peter J Murray, Kaye Umansky, Vivian French, Alan Temperley, Michael Lawrence, S.F. Said and Livi Michael. This event is suitable for 18-13 year olds. 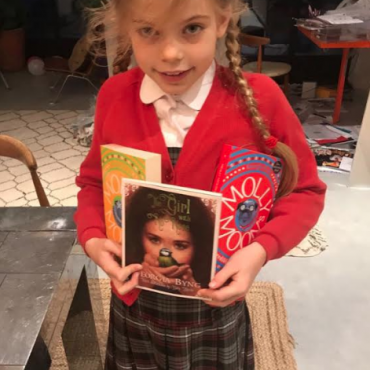 This is Milla, who has in her clutches the first two Molly Moon books and The Girl With No Nose. This is Poly Fortich, a Molly Moon fan from Colombia. She is a very inspiring girl. She is 10 years old and cares a lot about the environment. She is the president of an environmental charity called Fundacion Eco Poly. The charity is dedicated to spreading awareness about how to care for the environment and natural resources. Are you a young campaigner or have a story to share? Send a message via social media or use the message form at the bottom of the page. 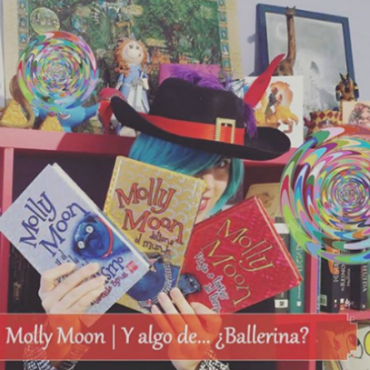 The Molly Moon spanish series is published by SM Publishing across Latin America. How incredible is Raffey Cassidy?! She has been very busy since staring as Molly Moon in Molly Moon and the Incredible Book of Hypnotism. In her latest interview for the entertainment website Interview, she says that now she has other ambitions too, “Recently I decided as well as an actor I would also like to be a fashion designer…I would like to study it in university”. You can read the full interview here.